Return <歸來>, the latest project from well-known mainland Chinese director Zhang Yimou (張藝謀), recently released its first preview and confirmed a May release date. The film’s producer, Le Vision Pictures, also revealed that on March 27, Zhang Yimou will be participating in a discussion with Taiwanese director Ang Lee (李安) at New York University. After turning writer Yan Geling’s (嚴歌苓) 13 Flowers of Nanjing <金陵十三钗> into a film in 2011, Zhang Yimou picked another of her novels to adapt for the silver screen. Return is based on The Criminal Lu Yanshi <陸犯焉識>, which tells of how Lu Yanshi (Chen Daoming 陳道明) is incarcerated and separated from his family. After many years, he comes home to his wife, Feng Wanyu (Gong Li 鞏俐), who is on her death bed and does not recognize him. In Return’s 85-second preview, viewers hear no sound apart from a little background noise, a piano playing “Song of the Fisherman” <漁光曲>, and three lines of dialogue at the very end. The visuals in the video are also rather sparse, with the camera focusing mostly on the faces of the leads and only occasionally showing shots of a train or a ballet class. The preview introduced viewers to TVB actress Candy Chang (張慧雯), who is being hailed as the next “Mou girl,” a term used to describe actresses who rose to prominence through a Zhang Yimou film. Unlike with his previous films, Candy’s participation in Return was kept low-profile until the preview was released. 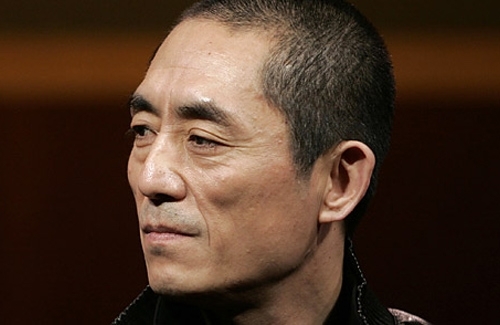 Return, which will receive an IMAX 4K release, will be the subject of an upcoming discussion between Zhang Yimou and Ang Lee, to be held at New York University on March 27. Based on the theme of “China’s culture, China’s self-confidence,” the dialogue will focus on ways to harness the power of culture through film in order to examine the difficulties of history, as well as to settle conflicts and worries between people. The talk, which will also bring up the attitudes of Chinese people toward trials and history, as well as the directors’ reflections on the collision of Eastern and Western culture, will be hosted by Chinese-American film director Christine Choy (崔明慧), who is a Film professor at NYU. Ang Lee will also be given the opportunity to attend an advanced screening of Return.